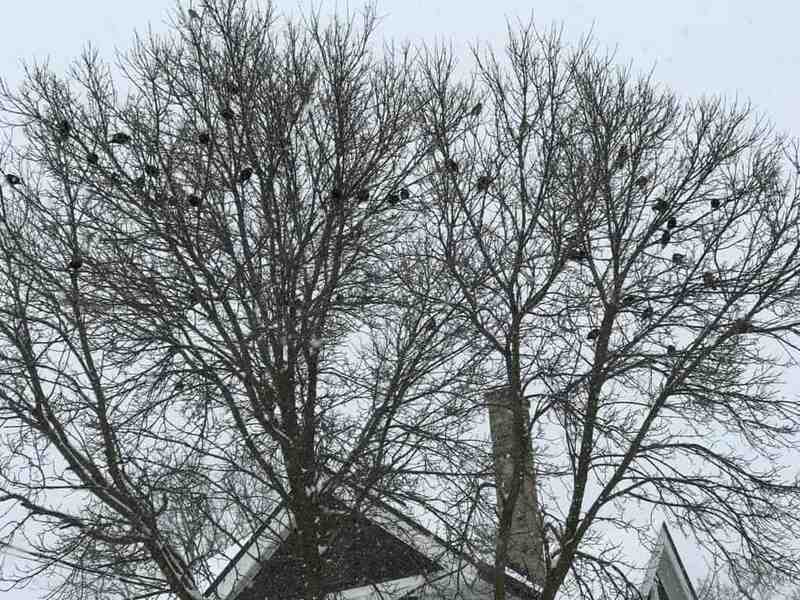 NOTE: You may want to try putting out mealworms. D.M. 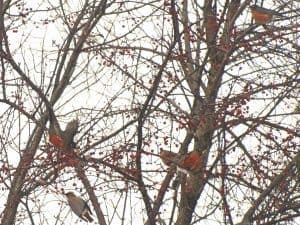 I live near the corner of Monaghan Road and Charlotte Street in Peterborough and saw a flock of ‘huge’ American Robins this morning. Quite round in shape! Sarah Thompson, Hazeldean Ave. 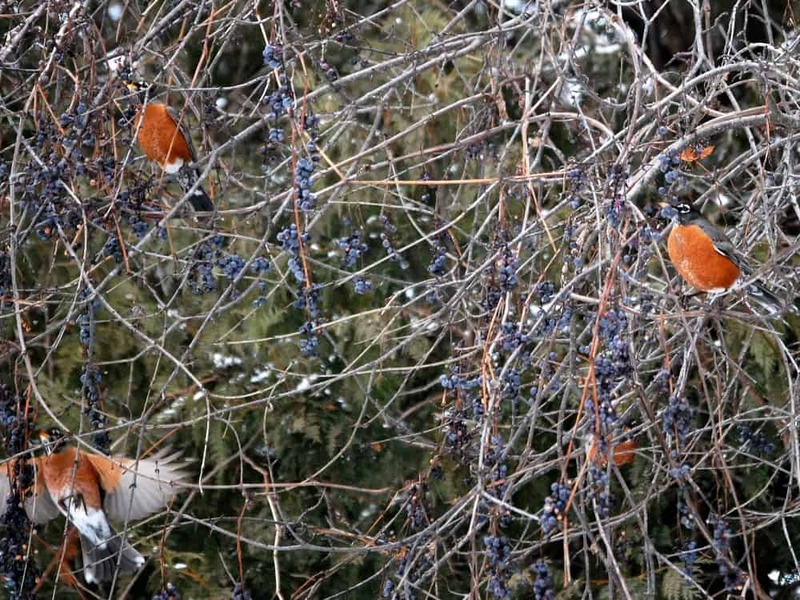 Note: The robins will do just fine without feeding them at all. 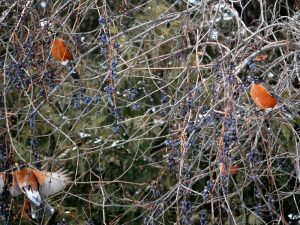 There is abundant wild food around this year, especially wild grape, mountain-ash berries, winterberry holly, crabapple and European buckthorn. However, you could try putting out some raisins that have been softened by soaking them in water. Personally, I’ve never tried feeding them. D.M. 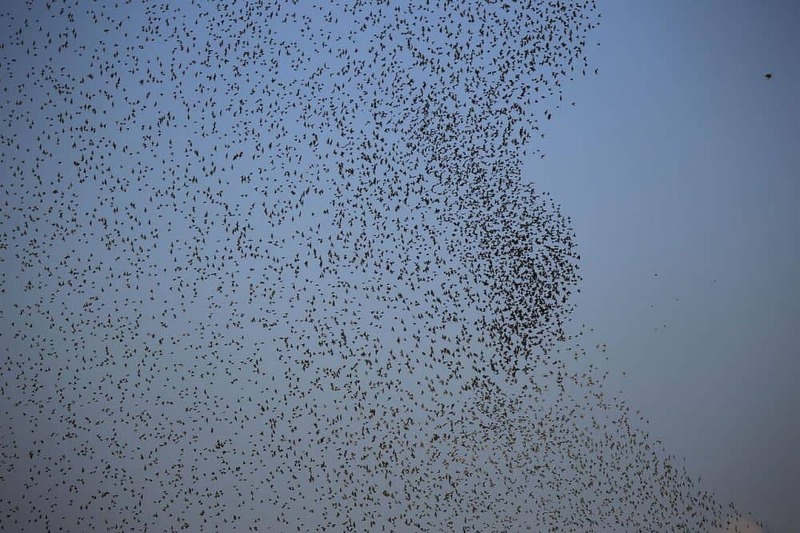 I witnessed a murmuration of European Starlings two weeks ago over our house. At the time I did not know there was a name for it, but I knew what I was witnessing was extraordinary. 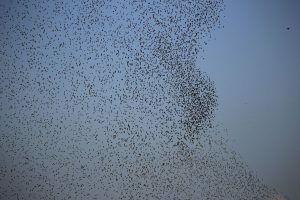 I could not believe the sheer numbers of birds, and they just kept coming. 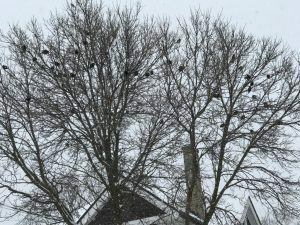 I was on the second floor of our home so I had a more expansive view and could see another large group further away joining the massive group that was passing overhead. They just kept coming. It really was unbelievable and over in less than a minute. 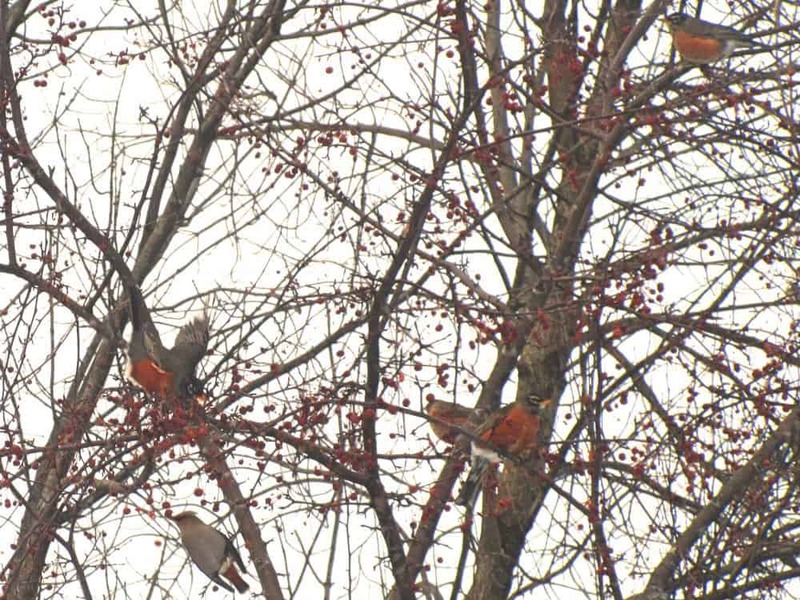 I had no time to grab my camera and new that if I looked away for even a second they would be gone. I just stood there soaking it in, knowing this was a phenomenon and a once in a life time experience.